You hereby confirm and acknowledge that by clicking on the box indicating your acceptance to the Terms & Conditions of TheTourExchange.com/new-york/ website (herein “Exchange”), you agree to be legally bound by all terms contained herein and you use the site at your own risk. 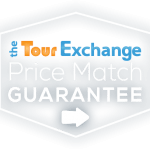 The Exchange may at any time modify terms & conditions of the site. Any usage of the site will be conditioned upon the terms in force at the time of such use.